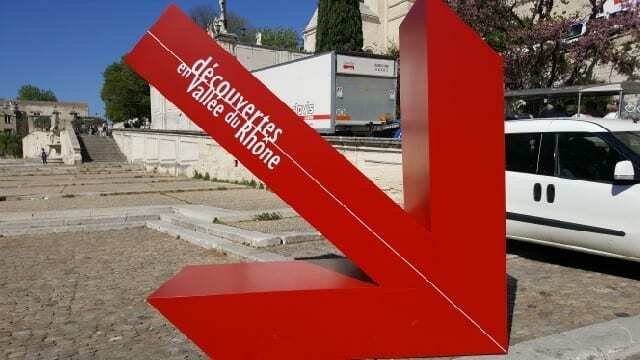 The bi-annual Découvertes en Vallée du Rhône took place on April 10-13. Over four days, wine professionals from around the world explored the wines of the Rhone Valley in France, beginning with two days in Avignon in the Southern Rhone and then moving north for one day in Tain L’Hermitage and one day in Ampuis. Each day, different exhibitors from various appellations in the Rhone showcased their wines. And one of the consistent themes throughout the wine fair, whether in the south or in the north, was about the exceptional 2016 vintage. While the 2016 red wines are still in barrel, many of the 2016 white wines were on display. And the ones that stood out the most were the exquisite white wines of Condrieu. A region that was virtually extinct only a few decades ago is today considered the white wine capital of the Rhone. Condrieu is in the northern part of the Rhone Valley, near Ampuis, and just south of its sister appellation Cote-Rotie. While Cote-Rotie produces only syrah, Condrieu produces only viognier. The Condrieu AOC, created in 1940, covers approximately 500 acres. Located on the steep slopes of the foothills of the Massif Central on the right bank of the Rhone River, the south-facing vineyards are planted on granite soils, as well as chalk and flint. The climate in Condrieu is continental with Mediterranean influences, with cold wet winters and hot summers. But one of the biggest challenges in Condrieu is the vineyards’ exposure to the strong northerly winds that damage crops during flowering. Winemakers from the area said 2016 was the first full vintage they had seen since 2011. In 2011, they experienced an ideal spring but had rain in early September. In 2012, spring was very wet, which reduced the crop. 2013 started slowly with some problems of mildew in the summer followed by a late harvest. 2014 was also a challenging year with rain during the summer. 2015 was a good consistent vintage but 2016 was even better. In the Southern Rhone, 2016 was ideal from start to finish. In the Northern Rhone, 2016 started with wet weather finished with a hot and dry summer and a late harvest, but the result was very good fruit. The 2016 wines are looking good and the vintage is being called the Super Millésime. 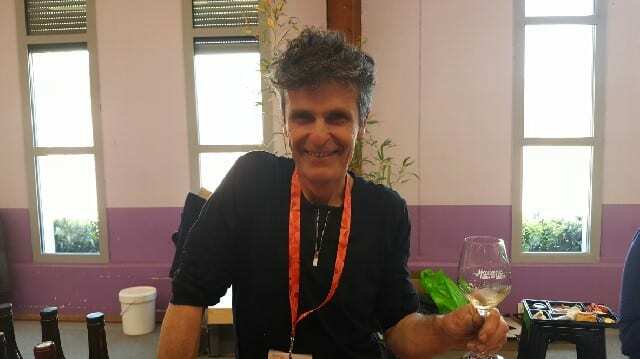 Yves Gangloff of Domaine Gangloff said that the past three years, he had lost the equivalent of one full vintage. But 2016, which ripened slowly and was picked in October, is ripe but the alcohol is not too high. The 2016 Condrieu was only a barrel sample of an un-blended wine, but the acidity and minerality of the wine shines and one can only imagine how delicious the final blend will be. The two 2016 wines that I tried were so exquisite that I had to return for seconds. The acidity and minerality with tangerine notes shined in Les Gendrines 2016 Cotes du Rhone. The Condrieu L’Octroi 2016 from a single hectare plot is ethereal. According to Cuilleron, 2016 was a fresher year than 2015, which was fatter. 2016 is more balanced because of the acidity. This is seen in the Condrieu Les Chaillets 2016 as well as the Condrieu Le Petite Cote 2016 with ripe tropical fruit, delicate acidity, mid-palate weight and a long finish. Domaine Georges Vernay is known for their key role in reviving the Condrieu region. Despite the warmth of 2015, they were able to keep good acidity, salinity and freshness in the wines. But the dry summer and less heat in 2016 resulted naturally in a very balanced wine. While 2015 gave more depth, 2016 on the other hand is a more classic vintage as exemplified by Les Mandouls 2016 Condrieu, a wine with good fruit, a balance of acidity, more freshness and a better expression of the soil. 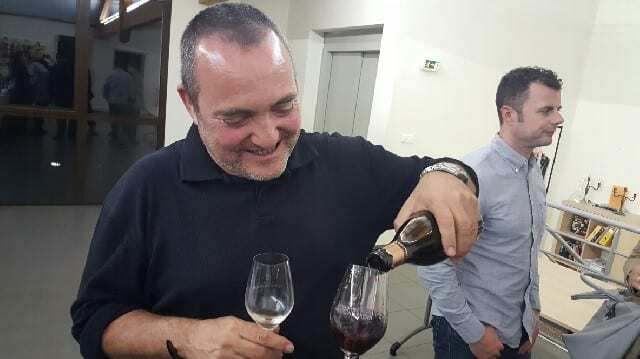 A 20-year partnership between pioneer winemakers Yves Cuilleron, Francois Villard, Pierre Gallard, Le Vins de Vienne, do not miss the 2016 Condrieu, the 2016 Viognier or Le Chambèe 2016 Condrieu. It will be a few months before the 2016 Condrieu is in the market in the United States but be on the lookout for when they arrive. This entry was posted in Wine and tagged 2016 Vintage, Caves Yves Cuilleron, Condrieu, Condrieu AOC, Decouvertes du Rhone, Découvertes en Vallée du Rhône, Domaine Gangloff, Domaine Georges Vernay, Famille Pierre Gaillard, Ferraton Père é Fils, France, Francois Villard, French wine, Le Vins de Vienne, Napa Valley Register, Northern Rhone, Rhone Valley, Super Millésime, Yves Cuilleron, Yves Gangloff by Allison Levine.